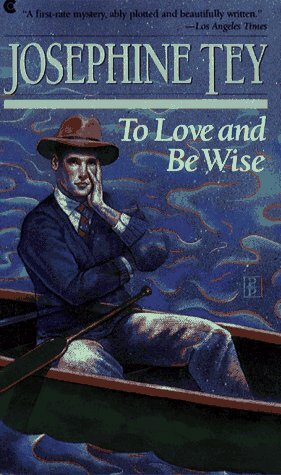 To Love and Be Wise boasts another absolutely gorgeous cover by Pamela Patrick. This is one time when I understand the Goodreads folk who obsess about uniformity in a series. My editions are a ragtag group; someday I’d like to have the matched set. The story: A disconcertingly beautiful young man becomes part of the lives of an extended family – and then disappears. He leaves behind amidst the bewilderment a girl who loves him despite herself, her fiancé who is all at once a suspect in foul play of some sort in the disappearance, and a detective (Alan Grant, of course) intensely frustrated by a puzzle whose solution evades him. I don’t recall ever reading this before (though given my memory that means little), and so the basic effect of having new Josephine Tey to read is a wonderful thing. I enjoyed the exploration of the effect an extravagantly attractive man has on those he meets. Beauty is one of those attributes, like wealth or height or curly hair, which many who lack it envy, and which is, sometimes at least, not all it’s cracked up to be. This gorgeous creature Leslie Searles attracts attention, including from DI Alan Grant – and he has learned over a lifetime of it to manipulate it, to some degree. I liked that there is no implication that for the most part the attention is sexual in nature. I have the feeling that in a book written more recently the instant interest Alan shows in him would be hedged about with explanation and defense. Here, it is quite simply that he is something extraordinary, and his entrance into a room is something like the arrival of a bird of paradise: even if you’re not a bird lover, you have to take notice of the sheer extravagant splendor. The vicar of the village where he roosts for a lengthy visit states his belief that Searles is a demon in disguise – it’s the only explanation for his beauty, and for the unsettling effect he has on everyone. He is disconcerting. It also nicely explains his so-abrupt disappearance as he and a comrade (Walter Whitmore, a Thoreau-wannabe who mellifluously reads nature essays on the radio) canoe down the river with plans to turn the adventure into a book. “You’ve been in the Force long enough to know that it is just those lovers of little bunnies that commit murder,” his chief said snappily. But the demon theory is not an explanation the police are prepared to carry on with, however it appeals to Alan Grant, and he irritably steps up the search when locals’ attempts to find Leslie fail. If it were only that Leslie is missing, the initial sweeps might be held sufficient – after all, an adult may abscond with himself as he pleases. But the circumstances under which he vanished are the problem: he was seen to bait the “bunny-lover” Whitmore at a pub the night before his disappearance was noticed – again, by Walter Whitmore. Walter, through a native self-confidence or naïveté, is ready and willing to discuss the circumstances, including those that lead to conclusions that his fiancée was quite possibly falling in love with Leslie and that Walter was well aware of the possibility, seemingly never adding the two and the two to make the four: he is a very real suspect. He’s also a very real character, almost of Ted Baxter ilk: not a bad man, or a stupid one, really – just egocentric and unexpectedly oblivious. His fiancée, Liz, is lovely, an ordinary sort of a woman who knows Walter’s shortcomings and cares for him anyway, but still finds herself swept away by the combination of stunning good looks and an equally deadly combination of intelligence and humor that provides her with conversation she can never have with Walter. Leslie is more reserved; the short time he is in the picture presents a vivid image of his personality, but as Alan finds it’s not that easy to get a handle on exactly who he was; part of it, though, is a little illumination of what it’s like to live inside that spotlight, to be that bird of paradise, inspiring love and hatred and all sorts of other strong emotion simply by virtue of looking as he looks. Minor characters are, as always, wonderful portraits in miniature; secondary characters – including a deeper acquaintance with Marta Hallard – are, as always, unique and genuine; and Alan Grant, as always, is magnificent. The mystery is, as is typical with Josephine Tey, not really one which is conducive to solution by the armchair detective. I want to say I guessed it, but that could just be internal Tonypandy. But, as is typical with Tey, the mystery isn’t the point. It’s just a hook – a clever and engaging hook – on which to hang an exploration of personalities. This must drive some mystery buffs straight up a wall. 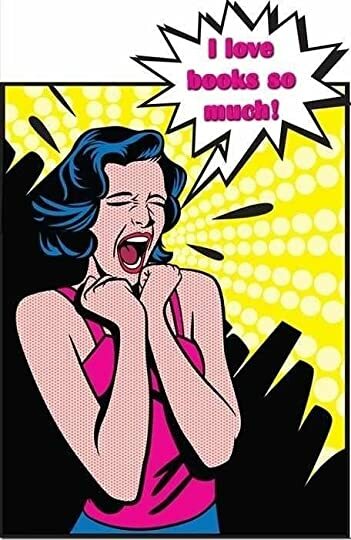 Since I read for character and quality of writing before anything else, I’m perfectly happy. 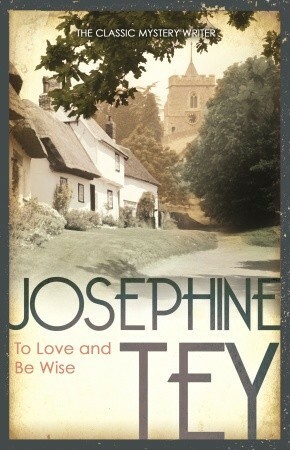 I might have mentioned it in other reviews: I adore Josephine Tey. This entry was posted in books, mystery and tagged Alan Grant, Josephine Tey, Pamela Patrick, To Love and Be Wise. Bookmark the permalink. 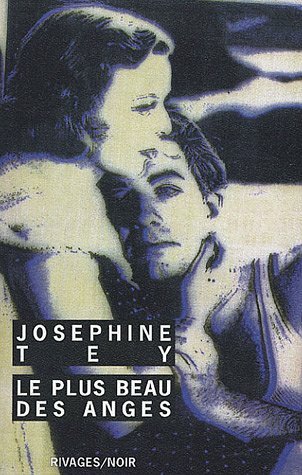 Thank you for your most enjoyable reviews of Josephine Tey’s novels. I particularly enjoyed this one – I also love ‘To Love and Be Wise’ because of the characters in the novel, especially the ones who live in the artistic colony of Salcott St. Mary who are described shrewdly and with wit. Tey’s characterisation is always absolutely spot on. Thank you! I never like to name a “top ten authors” – there are too many great books out there – but Tey would always be there if I did.